Director of quantitative analysis in the investment division of the Ford Foundation in New York (NY 10017). 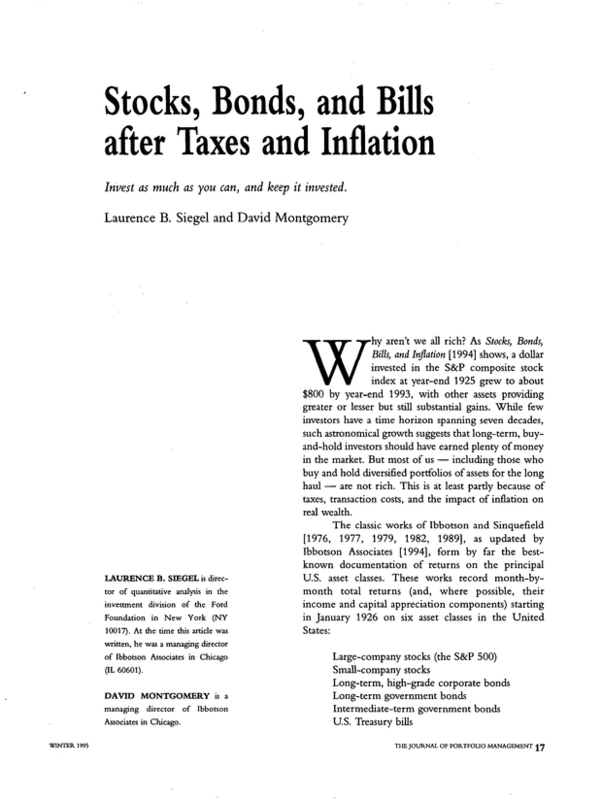 At the time this article was written, he was a managing director of Ibbotson Associates in Chicago (IL 60601). Managing director of Ibbotson Associates in Chicago.